Fans of BioShock and System Shock 2 should check out "Five Cut Features," a look back at some of the more interesting gameplay elements that came close to being included in Irrational's two biggest hits. It's not something that most of us think about, but videogame greatness is often achieved almost as much by what developers leave out as what they include. Doom is a great example of that: The original concept included a coherent story, multiple characters, cut scenes and more, whereas the final result was a stripped-down, "pure" FPS experience that became one of the most influential games in history. That refinement process is something that virtually every game goes through and as Irrational reveals in "Five Cut Features," there's usually a good reason for it. Ever wonder why the guns in System Shock 2 broke down so quickly? (If your answer is "no," then you've obviously never played the game.) That great mystery was one audio log away from being explained and, according to the report, was discussed so often that some members of the development team actually thought it had been included. BioShock, meanwhile, came close to employing an "atmospheric pressure system" that sounds interesting as a concept but would have been an absolute train wreck in execution. And then there's the infamous BioShock hacking. 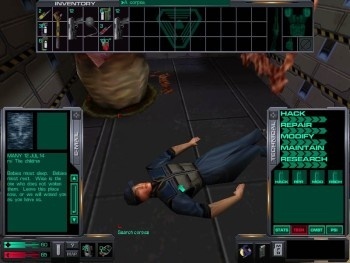 "Machines that seemed mechanical on the surface would actually have mutated humans operating them behind the scenes - something that players would only come to realize partway through the game," said designer Alexx Kay. "There is a small remnant of this notion in the hacking mini-game; originally, the fiction behind it was that you were increasing the flow of Adam to this addicted, mutated slave, and he was giving you extra benefits in gratitude."